Rosalyn, a 74-year-old female, has uncontrolled Type 2 diabetes and multiple comorbidities. She has arrived for her initial diabetes visit, accompanied by her adult daughter. When her name is called, Rosalyn proceeds forward alone while her daughter remains in the waiting area. The educator asks Rosalyn if she would like to have her daughter join her for the visit. Rosalyn is open to the suggestion, and her daughter is invited to attend the visit. The educator explains the reason for the visit and the benefits of the daughter’s participation. The opportunity to foster family support is quite often overlooked. Implementing family support as part of your patient’s care may be as simple as inviting a relative to join the visit. Diabetes does not solely affect the patient; it also impacts families and communities. Findings from the second Diabetes Attitudes, Wishes and Needs (DAWN2) study show 39.8 percent of respondents expressed high levels of distress about their relative’s diabetes.3 This large global study conducted in 17 countries examined the psychosocial aspects of diabetes management. It surveyed not only patients (n= 8,596), but also adult family members (n=2,057) and health-care professionals (n=4,785). Several respondents reported frustration with their lack of knowledge of how to best help their relative with diabetes [37.1 percent (17.5-53.0 percent)]. Many family members expressed interest in becoming more involved in their relative’s diabetes care [39.4 percent (15.5-61.7 percent)]. It is important for providers and educators to recognize the impact of family influence and family dynamics on diabetes care. By working with family members, we can better understand and serve our patients with diabetes. Family members can provide helpful information during patient assessment. They may be able to answer questions the patient cannot answer. They can also impart additional information not provided by the patient. This insight allows the diabetes educator to better identify and address the patient’s needs. Family members can also provide support for the patient by assisting the patient in learning self-management skills. In DAWN2, 72.1 percent of family member respondents participating in diabetes education programs found these programs to be helpful.3 However, participation in diabetes education programs was low among patients (49 percent) and relatives (23.1 percent). In an invited editorial response to these DAWN2 findings, Funnell called for an increase in accessibility to diabetes education for patients and family members.9 Inclusion of family members in DSME can help them better support our patients and comfort family members as they learn how to contribute to the patient’s care. Family members can help reinforce education in the home setting. This is particularly helpful when patients learn manual skills such as insulin administration and blood glucose monitoring. Young and adolescent children of patients with Type 2 diabetes can also be key motivators for behavior change. Educators may consider recruiting them to help motivate patients to adopt healthy living behaviors such as nutritious eating and physical activity. Educators could encourage patients to bring their children to visits and/or diabetes classes over holidays and summer breaks. Available tools can assess diabetes-specific family conflict. The revised Diabetes Family Conflict Scale (DFCS) was developed for children and adolescents with Type 1 diabetes and their parents.14 Patients rate diabetes-specific family conflict across 19 diabetes-management tasks along a 3-point Likert scale. Parents are asked how much they argue with their children about these management tasks. Patterson developed The Diabetes Conflict and Support Scale for adults with Type 2 diabetes.15 This 10-item scale measures family conflict and support via a 4-point Likert scale. It is necessary to inquire about the patient’s social support and acknowledge its impact. Diabetes educators can assist patients in dealing with family conflict by referring them to family therapy or individual counseling services. Educators can advise patients on how to inform their family members when support measures are not constructive. Educators should reassure patients that active family participation may help hold the patient accountable to practicing healthy self-care behaviors. When teaching patients about stress management, family members should be included in the dialogue, and coping with family conflict should be addressed. Recruitment of family support starts with the patient. Educators should help patients overcome reluctance to accept assistance from family and/or friends. Patients may not seek family assistance because they don’t want to be a burden. The educator should address this assumption and find ways to accommodate the needs of the family to promote involvement. When asking patients to identify obstacles in self-management, educators can encourage family involvement. In terms of your diabetes, what do you struggle with (i.e., blood sugar monitoring, eating healthy, exercise, medication adherence, etc.)? How can your family or friends help you with those struggles? Will you invite them to your next appointment, please? If no, why not? In a review of more than 35 studies, patients with diabetes most valued support from family members over support from health-care providers.16 Support can be emotional, instrumental (e.g., direct assistance with health-care activities) or informational (e.g., advice or instruction). Family members can assist the patient with any of the diabetes self-management activities. Ask patients to bring family members or friends to future visits. Encourage family member attendance to diabetes education classes (identify and address any barriers to attendance). Acknowledge, welcome and engage the family member at clinic visits/classes. Ask family members about concerns and issues to address. Encourage patient to show discharge instructions and educational material to family member(s). Call family members during a visit to review key teaching points for one-to-one sessions. Schedule appointments on the same day as visits with other family members seen by same educator/provider. Promote attendance to nutrition visits and/or meal-planning classes with patient. Encourage cooking and eating healthy meals at home for entire family. Advise family to support healthy eating and avoid sabotaging patient with unhealthy meals. Encourage patient to grocery shop with family member. Encourage family to engage in physical activities (i.e., walking, going to the gym) with patient. Suggest purchasing an activity tracker for patient. Encourage family to participate in or initiate challenges with the patient using electronic activity trackers. Suggest purchasing gym membership for patient. Encourage participation at exercise classes. Ensure family member knows how to use meter (include him or her in meter instruction education). Assist with blood glucose monitoring if patient lives with family member. Assist with recording blood sugar values in logbook for patients with low literacy. Assist with obtaining blood glucose testing supplies. how to prevent and properly treat hypoglycemia. Enlist family member to encourage and assist patient in using community resources such as diabetes camps, senior centers and support groups. Encourage family members to take part in family counseling when needed. Advise family members on how to support patient dealing with depression. Advise family member to avoid nagging and arguing with patient about self-care, which may contribute to further distress. Make sure family member has contact information for behavioral health services. Encourage family member to remind patient to take medications when non-adherent. Assist patient with filling pillbox. Order and pick up medication refills. Avoid harmful tactics such as negatively questioning need for medication. Avoid arguing with patient about non-adherence to regimen and poor control. Include family member in insulin initiation education to ensure proper self-administration in home setting. Family support can help the patient improve self-care behaviors, which will contribute to better clinical outcomes. However, it can also help the family member improve his or her own health behaviors. Over a third of the U.S. adult population, estimated 86 million, have prediabetes.17 Ninety percent of these people are not even aware of it. Family history increases one’s risk of developing diabetes. Educating family members and friends about diabetes and healthy living can influence family members and friends to adopt healthy-living behaviors. 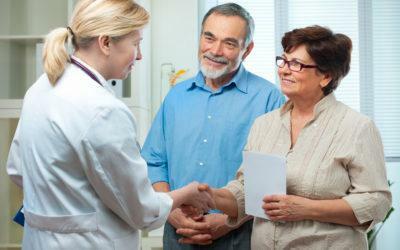 Social support is a valuable resource that allows for more efficient and comprehensive patient-centered care. Family involvement is integral to patient empowerment. 1. Haas L, Maryniuk M, Beck J, Cox CE, Duker P, Edwards L, Fisher EB, Hanson L, Kent D, Kolb L, McLaughlin S, Orzeck E, Piette JD, Rhinehart AS, Rothman R, Sklaroff S, Tomky D, Youssef G, on behalf of the 2012 Standards Revision Task Force. National Standards for Diabetes Self-Management Education and Support. Diabetes Care. 2014;37(Suppl 1):S144-S153. 2. Piette JD. Moving beyond the notion of ‘self’ care. Chronic Illness. 2010;6:3-6. 3. Kovacs Burns K, Nicolucci A, Holt RI, Willaing I, Hermanns N, Kalra S, Wens J, Pouwer F, Skovlund SE, Peyrot M; DAWN2 Study Group. Diabetes Attitudes, Wishes and Needs second study (DAWN2TM): cross-national benchmarking indicators for family members living with people with diabetes. Diabet Med. 2013;30(7):778-788. 4. Powers MA, Bardsley J, Cypress M, Duker P, Funnell MM, Fischl AH, Maryniuk MD, Siminerio L, Vivian E. Diabetes Self-Management Education and Support in Type 2 Diabetes: A Joint Position Statement of the American Diabetes Association, the American Association of Diabetes Educators, and the Academy of Nutrition and Dietetics. Diabetes Care. 2015;38(7):1372-1382. 5. Gerteis M, Edgman-Levitan S, Daley J, Delbanco TL. Through the Patient’s Eyes. Understanding and Promoting Patient-Centered Care. San Francisco, CA: Jossey-Bass, 1993. 6. Institute of Medicine. Crossing the Quality Chasm: A New Health System for the 21st Century. Washington, DC: National Academies Press, 2001. 7. McBrien KA, Naugler C, Ivers N, Weaver RG, Campbell D, Desveaux L, Hemmelgarn BR, Edwards AL, Saad N, Nicolas D, Manns BJ. Barriers to care in patients with diabetes and poor glycemic control—A cross-sectional survey. PLoS One. 2017;12(5):e0176135. 8. Rosland AM, Kieffer E, Spencer M, Sinco B, Palmisano G, Valerio M, Nicklett E, Heisler M. Do pre-existing diabetes social support or depressive symptoms influence the effectiveness of a diabetes management intervention? Patient Educ Couns. 2015;98(11):1402-1409. 9. Funnell M. Beyond the data: moving towards a new DAWN in diabetes. Diabet Med. 2013;30:765-766. 10. Sander EP, Odell S, Hood KK. Diabetes-Specific Family Conflict and Blood Glucose Monitoring in Adolescents with Type 1 Diabetes: Mediational Role of Diabetes Self-Efficacy. Diabetes Spectrum. 2010;23(2):89-94. 12. Indelicato L, Dauriz M, Santi L, Bonora F, Negri C, Cacciatori V, Targher G, Trento M, Bonora E. Psychological distress, self-efficacy and glycemic control in type 2 diabetes. Nutr Metab Cardiovasc Dis. 2017;27(4):300-306. 13. Cherrington A, Wallston KA, Rothman RL. Exploring the relationship between diabetes self-efficacy, depressive symptoms, and glycemic control among men and women with type 2 diabetes. J Behav Med. 2010;33(1):81-89. 14. Hood KK, Butler DA, Anderson BJ, Laffel LMB. Updated and Revised Diabetes Family Conflict Scale. Diabetes Care. 2007;30(7):1764-1769. 15. Paddison C. Family support and conflict among adults with type 2 diabetes. Eur Diabetes Nursing. 2010;7(1):29-33. 16. Colorafi K. Connected health: a review of the literature. Mhealth. 2016;2:13. doi: 10.21037/mhealth.2016.03.09. 17. Working to Reverse the US Epidemic At a Glance 2016. Centers for Disease Control and Prevention website https://www.cdc.gov/chronicdisease/resources/publications/aag/diabetes.htm.